There's quite a lot of this style of Hard Rock coming from new and young bands at the moment, enough for the Frontiers label to launch their own 'New Breed' campaign that promoted promising new groups. We've already had Doomsday Outlaw, Bigfoot, Inglorious and Dirty Thrills from the label, all of whom are British, and I'd also add The Treatment and Cage The Gods to that list as they both mine a similar sound. Essentially, these bands have a classic, bluesy Rock base to which they then add some modern enthusiasm and energy. 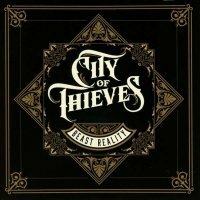 London-based City Of Thieves are the latest band to join this gang, and they've delivered a terrific, no-nonsense debut. Taking the bump and grind groove of AC/DC, this band have served up an album that's chock-a-block with chest-beating riffs and big hooky choruses. It's full of songs about hard living and hard rocking. Okay, that might not be exactly original, and if you want to pick fault with the record it would be that we've heard it all before, but it's done so well here who cares? The second song, 'Fuel And Alcohol', is the first real doozie; it's about the group's favourite way to spend their time and money. This track is so vibrant and contagious that it makes you want to follow the band's nihilistic lyrics and drive yourself off a cliff while slugging on a bottle of Jack Daniels. 'Buzzed Up City' would fit on any latter-day AC/DC album without anyone spotting the join. Singer and bass player Jamie Lalley doesn't mimic either Brian Johnson or Bon Scott but has his own voice that is rough, muscular and melodic in equal measure. Elsewhere, the likes of 'Control' and 'Animal' display the same sweaty intensity as Airborne. The whole record is up-tempo, therefore, a couple of the tracks towards the end suffer by comparison to what's gone before. The material is helped by Toby Jepson's bright production sound. The ex-Little Angels man knows a thing or two about Melodic Rock, and he's added some of the live energy he also captured on his own band's (Wayward Sons) recent debut, along with Mike Fraser who has done some terrific work with AC/DC and Thunder mixes. The tag line for the recent Frontiers' 'New Breed' promotion was "Rock Ain't Dead" and this album proves that point very well. 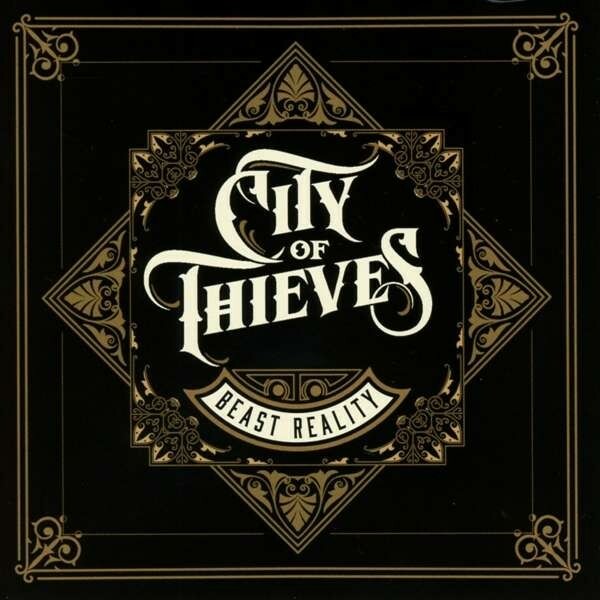 If I were you, I'd let this City Of Thieves pick your pocket.